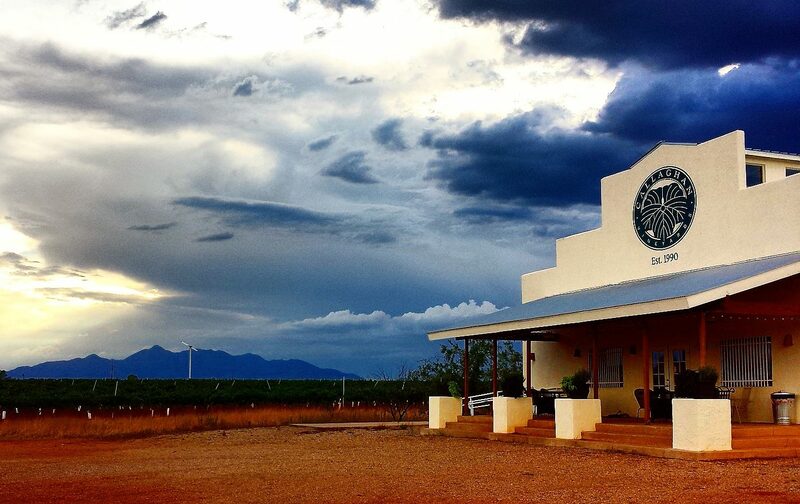 In Santa Cruz County, in the southeastern corner of Arizona, Callaghan Vineyards has been crafting exquisite wines which express the region’s unique soil and climate for over 25 years. 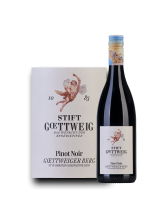 Pioneers of Arizona’s burgeoning wine industry, Harold and Karen Callaghan first planted the Buena Suerte vineyard in 1990, only to have it decimated by a heat wave. Undaunted, the Callaghans began anew, patiently learning the terroir and experimenting with different varietals and rootstocks to discover which grapes were capable of fully realizing the potential of Arizona’s wine country. 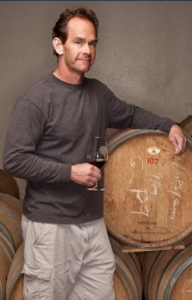 The challenges presented to viticulturists in the region run the gamut from hot, dry winds to monsoon downpours, and everything in between; but Callaghan Vineyards, now helmed by Kent and his wife Lisa, has overcome these adversities and now boasts an impressive roster of exceptional wines. 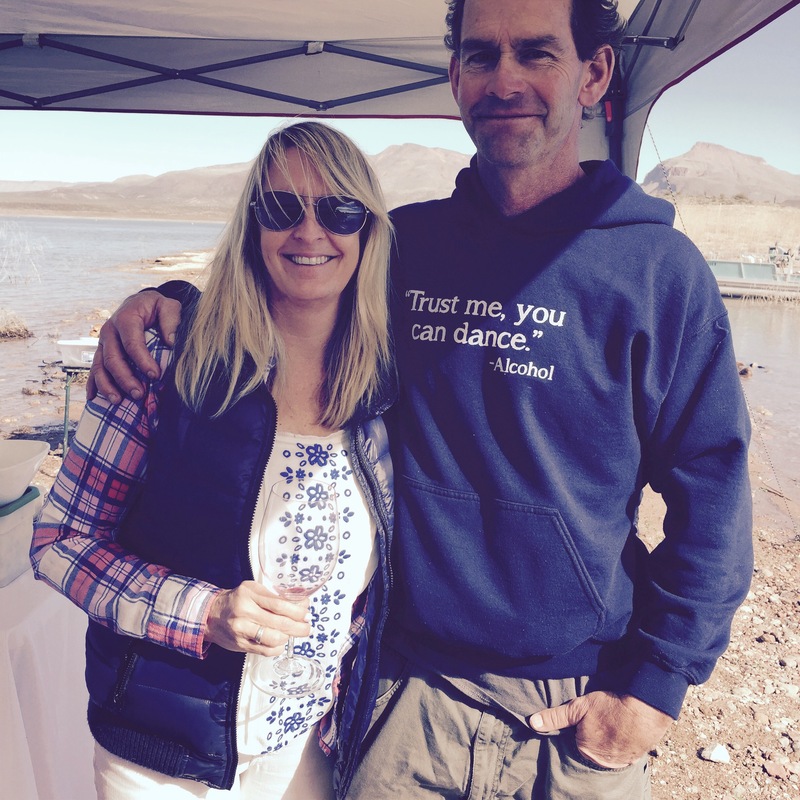 The Callaghans have been hailed as pioneers of Arizona winemaking, and Kent and Lisa continue to lead innovation in the burgeoning industry as a founding member of the Arizona Vignerons Alliance (AVA). 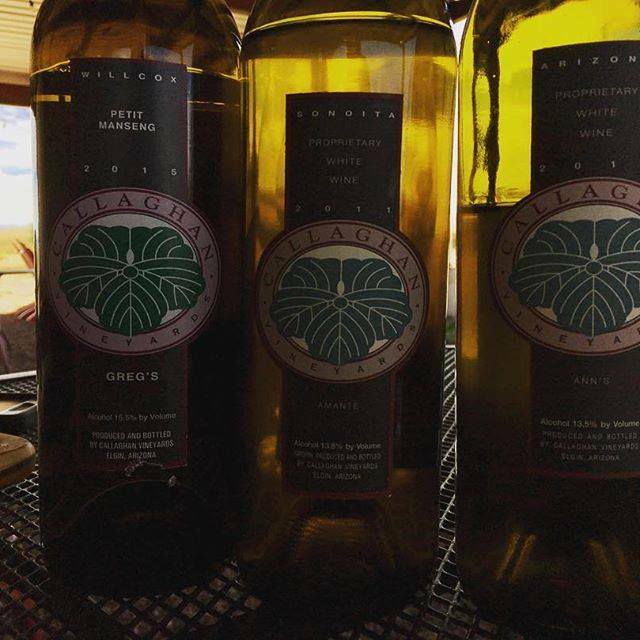 Callaghan’s wines have earned accolades from from the likes of The Wine Advocate and Decanter Magazine, and have been served at no less than three White House dinners.